One of the most impressive ecolodges in the world, Caiman Ecological Refuge is part of a renowned private research, conservation and ecotourism initiative. 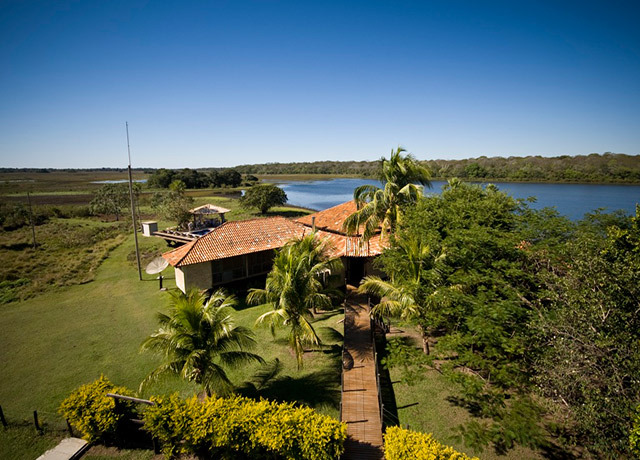 Located deep within the southern Pantanal inside an enormous private reserve, the pousada offers comfortable accommodations, a broad slate of ecological activities, and by far the best wildlife viewing in the area. The ecolodge lies at the heart of a 130,000-acre sustainable cattle ranch that exudes the distinctive local cowboy culture, reflecting 200 years of melded Portuguese, indigenous and Paraguyan traditions. 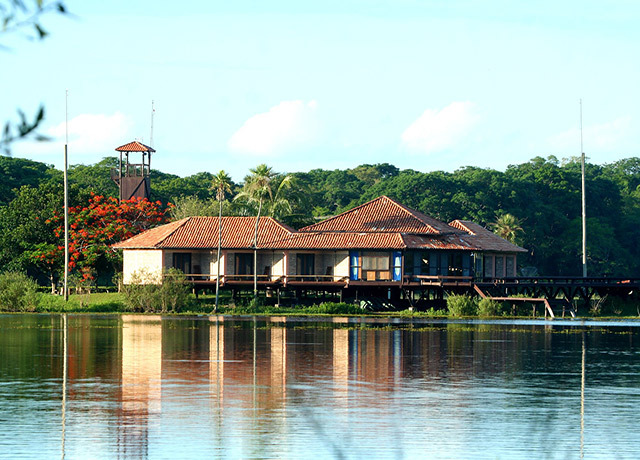 The lodge was the first ecotourism operation in the region and remains a conservation leader. When the refuge was established, 10 percent of the ranch acreage was set aside as a private conservation area, off limits to cattle but open to visitors. The protected area, chosen with the aid of research scientists from the University of Sao Paulo, is remarkably diverse, with habitats encompassing wooded and scrubby savanna, open pasture, stands of caranda palm, hammock forests, streams and seasonal channels – all providing sustenance for numerous Pantanal species. 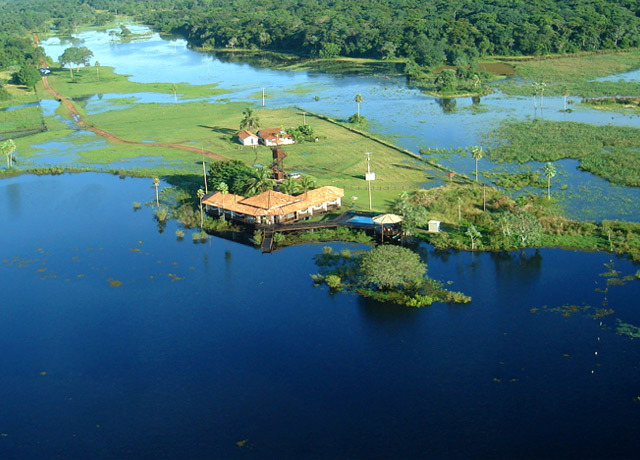 The result is the very best and most exclusive wildlife-viewing experience in all the Pantanal.